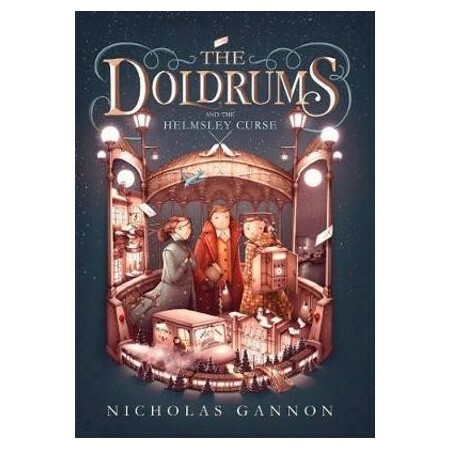 Archer B. Hemsley and friends are back and yearning for adventure in this second beautifully told, stunningly-illustrated story from author-illustrator Nicholas Gannon. After two years, Archer B. Helmsley's famous explorer grandparents are finally coming home. They had been missing - abandoned on an iceberg - and Archer and his best friends, Adelaide L. Belmont and Oliver Grub led an adventurous mission to rescue them. Archer is overjoyed by his grandparents' return. However, he seems to be the only one . . . Rumours begin to surface that Archer's grandparents weren't abandoned after all. People are claiming that they made it all up. Well, Archer knows those rumours are false, and with the help of his best friends and new neighbour, Kana, he is going to prove it. Off the foursome set, into a snowstorm and beyond, to restore his grandparents' reputation.